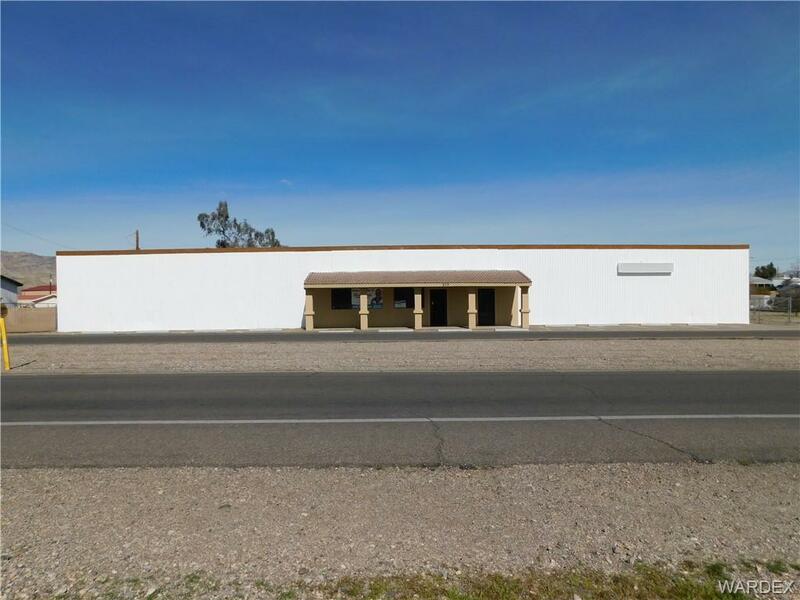 5440 SQ FT COMMERCIAL BUILDING WITH 720 SQ FT OF AIR CONDITIONED OFFICES ON ALMOST AN ACRE OF FENCED LAND WITH ACCESS FROM 2 STREETS. THE BUILDING HAS BEEN PAINTED INSIDE AND OUT. THE OFFICES HAVE 2 BATHROOMS. THE OWNER HAS ORDERED CARPET FOR THE OFFICES AND SHOULD BE IN SOON. THEY WILL ALSO PUT 2 NEW EVAPROTIVE COOLERS ON THE BUILDING WITH THE RIGHT OFFER.